This is the fifth in a new series by shop regular, Chris Haas, The Book & Brew Review. So you ever have one of those days where nothing goes well and it’s as if a major destructive force has crash landed into you and your loved ones? No? 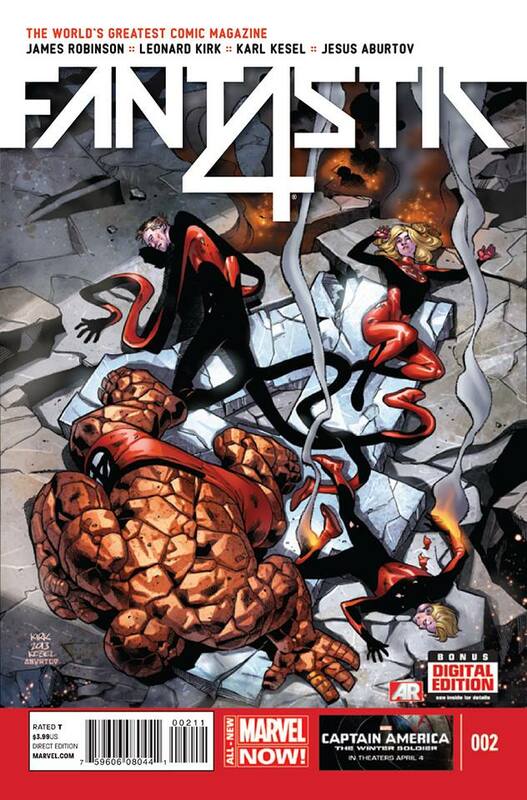 Well apparently the Fantastic Four are quite familiar with those kinds of days. Their bodies lay battered and bruised. They lay on top of rubble, which actually turns out to be the ruins of the Baxter Building, their official headquarters. After years and years of adventures, the writer and author are attempting to make it look like the group is in the worst situation it ever has been. And so far, they may be succeeding. The credits to such a devastating cover belong to Leonard Kirk and Art Adams. The little touches are nice. Showing Reed Richards all stretched out is oddly comical yet it shows just how recent the desolation occurred. The very same can be said concerning Johnny Storm remaining slightly on fire. I’m not going to lie. This is a weird beer. What first drew me to it was the little guy on the bottle. 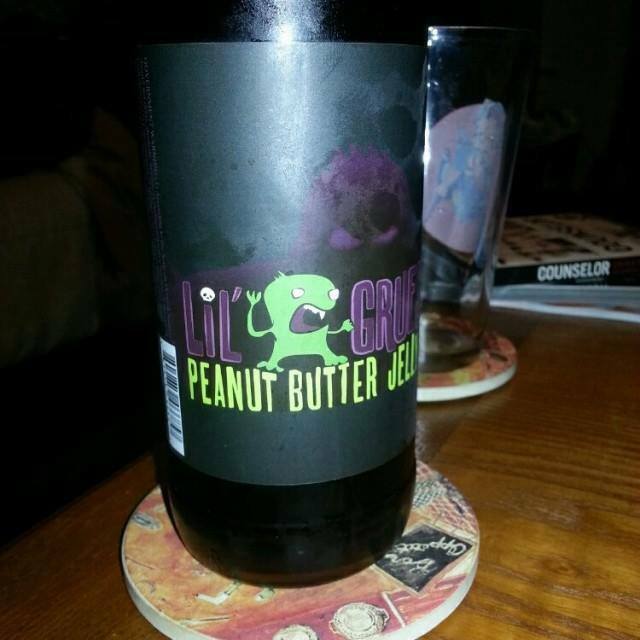 I assume that is “Lil Gruesome.” He seems harmless enough but maybe it’s the beer that could be more treacherous. And then I read the name of the brew. Peanut Butter Jelly Stout. And the first thought to run through my mind was, “I’m definitely buying this for comic reading.” And here we are. This beverage is actually rated as a Fruit/Vegetable beer and comes in around 7% ABV. The bottle is 22 ounces and the brewery is actually a local enterprise. They hail out of Conestoga, Pennsylvania (with a taproom in Lancaster) and are relatively new, having opened their doors in 2006. If you like a sweet stout, this is definitely for you. Before drinking it, you can easily smell the peanut butter. It’s almost too much. But then when you taste it, surprisingly, the first thing you notice is the sweet taste of jelly. I almost wonder that I only think that because of the title itself. But to me, all I kept thinking was, “Smells like peanut butter, tastes like jelly.” Like I said, a weird beer, but I definitely enjoyed.